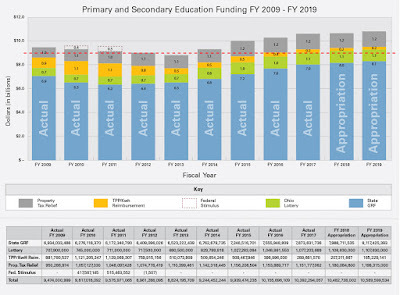 As you begin hearing more about the Patterson-Cupp committee's proposals for fixing school funding -- ideas that as of now hold much promise -- I want to make sure everyone is aware of what funding numbers matter as we consider future funding levels. There are several pots of state money that go to schools. 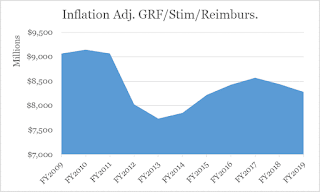 The largest is from the state's General Revenue Fund (GRF). 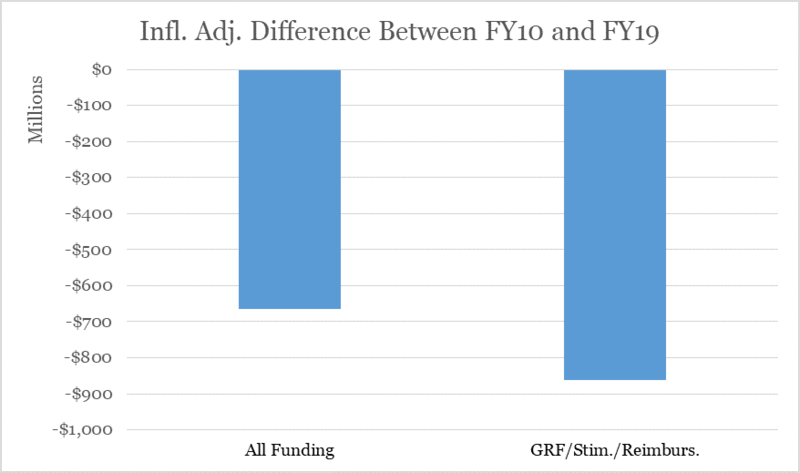 The next largest is the Lottery Fund, which has been a problem since the beginning because all that fund did is allow state lawmakers to cut GRF funding and replace that cut with lottery money. Lottery money doesn't increase commitment to education; it just changes what percentage of that money comes from the GRF. However, there are others that used to not be considered part of state funding, but now are (for reasons I'll explain in a bit). The first is Property Tax Relief. This is state money that has been set aside to offset property taxes since the income tax passed in the 1970s. The deal was if schools supported the income tax, a portion of it would be used to reduce local property taxes. That's why Ohioans have, in the past, only paid $0.875 cents for every $1 of property tax raised. However, in 2013, Gov. John Kasich eliminated this property tax relief on all future, new money levies. So while Ohioans continue to pay about 88 cents on the dollar for old and renewed levies, for new ones, they pay the full freight. Whenever this pot of money has been used by governors to claim that the state provides about $1 billion in school funding through property tax relief, it generally has been dismissed by any serious Ohio school funding analyst. Why? Because that money doesn't go directly to school districts and kids; it goes to property taxpayers (who don't even notice the property tax cut is there, if they even know it exists at all). The next big pot is reimbursements for Tangible Personal Property (TPP) and Utility (KWH) taxes. Prior to 2011, this payment also wasn't considered part of state support for public education, for much the same reason as the property tax relief. The reimbursement payments were created to get the support of schools during the massive tax reform included in 2005's House Bill 66. One of the reforms was eliminating the taxes on tangible personal property, or inventory. This hammered our traditional manufacturing plants, who invested heavily in equipment and inventory. However, the locally derived tax provided sometimes substantial revenue to schools and kids, so eliminating it would cause a huge cut to kids in many school districts. 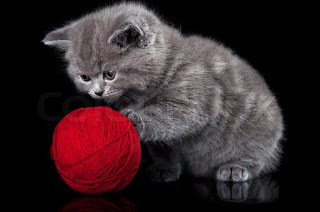 So when the state created the Commercial Activity Tax (CAT) to replace TPP, the deal was it would make up for the lost TPP revenue with CAT revenue. And that was how schools ended up being OK with losing TPP. The idea was eventually that reimbursement would be replaced with something else, but until then, the state would uphold its word to schools and make the payments. So because this was simply a state reimbursement, school funding analysts also didn't count this payment as state support because the state chose to eliminate locally derived revenue with a state figure. That's when Gov. John Kasich eliminated the TPP and KWH taxes (gradually), all but eliminating what had been a $1.2 billion line item in the 2010-2011 school year. So now local districts lost state funding, so TPP and KWH reimbursements were now considered school funding cuts (as they would have been in 2005 if the state hadn't agreed to the CAT payments). 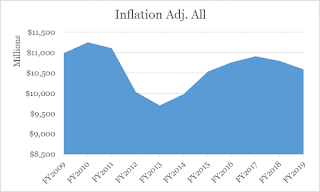 Finally, during the 2009-2010 and 2010-2011 school years, the federal stimulus gave Ohio about $450 million a year (on average) to help make up for lost state revenue due to the Great Recession. The idea was states would replace the stimulus money with state money once revenues returned post-Recession. So because this money flowed through Ohio's school funding formula, it's been considered part of the state's school funding commitment. This is a long-winded way of getting to the issue: Beware of state leaders who claim that certain pots of money should be included as part of the state's school funding commitment, for comparison's sake. 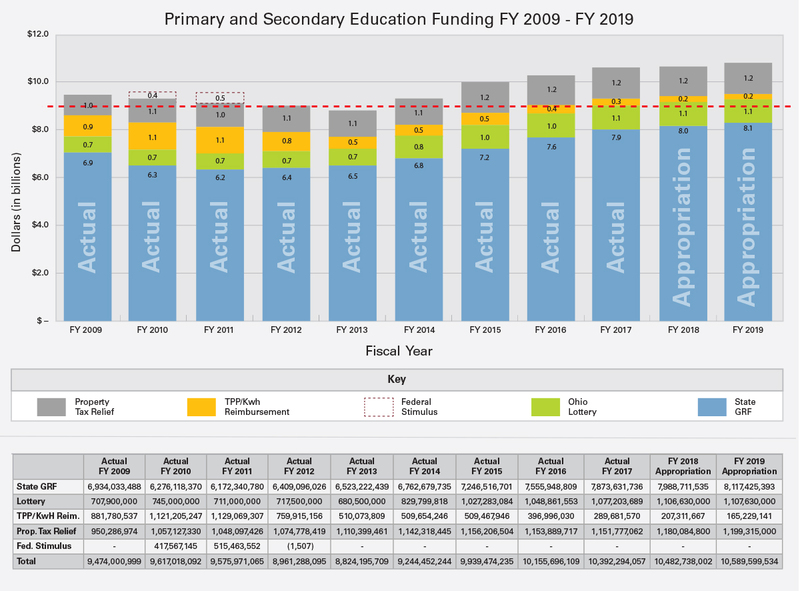 I mention this because the Ohio Department of Education has produced a truly misleading graphic on its website (which I have posted at left) dubbed "Primary and Secondary Education Funding FY 2009 - FY 2019". In it, they try to show that Ohio's greatly boosted school funding during the last 8 years. While the political implications of that timeline are obvious, I'll just discuss the policy problems with their assertion. First of all, the period is long enough that inflation matters. For example, according to the Bureau of Labor Statistics, a dollar in 2009 is worth $1.16 today. In addition, it includes the property tax reimbursement as state education funding -- a figure that the vast majority of analysts would never include because it doesn't go to kids; it goes to adults who are property taxpayers. Finally, the amount includes Lottery money, which is OK, except the amount has increased by more than 50 percent. Why? Because of VLTs and other gambling opportunities that have increased since 2011. So if you wanted to look at money that went directly to kids (and didn't supplant GRF the way the lottery does), then you need to look at GRF, TPP reimbursement and stimulus. Those are the funds that directly fund schools. 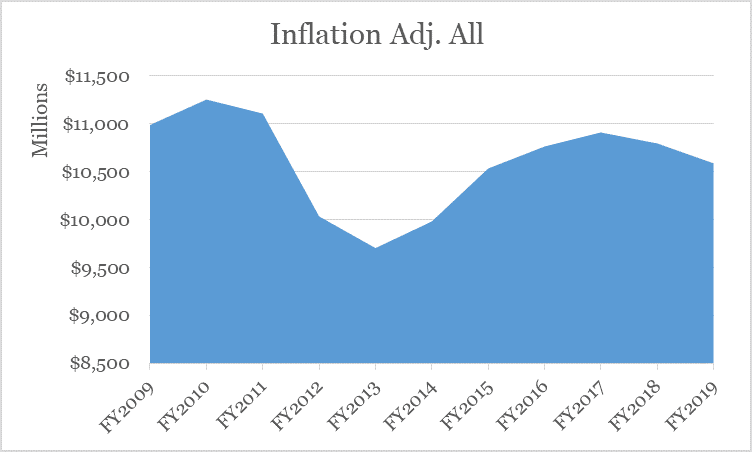 When you do that, and build in the inflationary adjustments for each year, you'll see quite a drop in state funding for Primary and Secondary Education since the 2009-2010 school year -- $863 million, in fact. Even if you include all the so-called funding pots ODE includes, it's a $664 million inflationary cut to Primary and Secondary Education. Which points out the challenge for Reps. Patterson and Cupp. In order to keep pace with the Great Recession spending on education, they have to boost funding by nearly $1 billion. And they have to do it with a new Governor whose only stated K-12 initiative was to boost some poverty funding and provide a more "equitable system" (the problems with equity minus adequacy, I've discussed before). But that doesn't mean what these state reps are doing isn't important. What it does mean is we citizens must insist that the rest of the state's leadership follows through on their good work. And above all, it means that we all keep our collective eyes on that pesky school funding ball.